“The not released by grasping.” "KABURITSUKU" in Japanese, there is this sense. Sweets that many people are accustomed to eat. 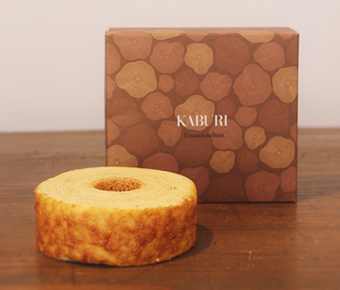 This is Japanese-made Baumkuchen. Grasp the opportunity, and it is not released.It is a candy that was filling such meaning. Skilled craftsmen finished "black molasses". It looks firm. 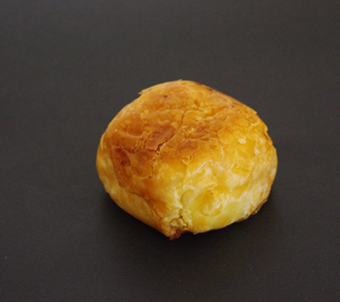 But, That is surprisingly easy to eat and I think was "Karinto". Pie dough and excellent compatibility! 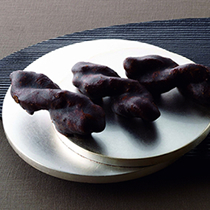 Astringent skin chestnut sweets. Egg yolk sauce. Astringent skin chestnut. Pie dough. "The combination of Japanese taste and European taste". The approachability, I think that it is easy to eat.